This course satisfies the Texas State Board of Accountancy four-hour ethics course requirement for RENEWAL of all licensees. This course is NOT for persons who have passed the CPA Exam and need a 4-hour course in order to obtain the certificate. This course deals with efforts of the Board to teach CPAs to achieve and maintain the highest standards of ethical conduct. The course discusses ethical principles and values, ethical reasoning and dilemmas. Cases covering these areas are covered. It also explains the issues, developments, and problems addressed by the Texas State Board of Public Accountancy Code of Ethics are examined in detail, including the rewriting as of June 11, 2000 and revisions in April 2002. 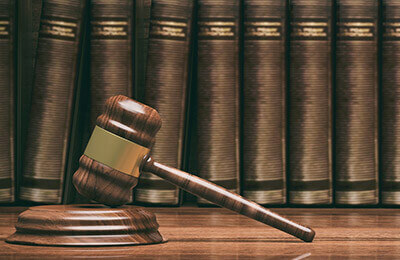 Cases dealing with current ethical problems are included. To discuss emerging issues and problems in the profession. To describe new definitions of terms. To examine new and/or changed sections of the professional code of conduct. Upon ordering this course, you will immediately receive a link to the course registration page. On this page, click the REGISTER button to obtain your password. You have one year from date of purchase to complete the course. After you have completed reviewing the text material, you may take your exam in our convenient, untimed online format. Tests average 5 questions for each CPE credit offered. For example, a CPE test worth 20 credits would include about 100 questions. A score of 70% or better is required to pass this course, although there is no limit to the number of times you may take the exam in order to pass. When you successfully pass the exam, your Certificate of Completion will be displayed on the screen. Print it out on your printer by using the “Print” command in your web browser. Walter G. Austin, Ph.D., CPA is a financial planner with Austin Financial Services and is a registered representative of IFG Network Securities, Inc. He is an Associate Professor Emeritus of the University of Texas at El Paso. He is registered with the Texas State Board of Public Accountancy as a sponsor of ethics courses. He has published self-paced learning materials for college accounting texts, a computerized audit practice set, audit sampling templates, and several articles in journals. Walter has also written and presented numerous continuing professional education courses for state and local CPA chapters. Aside from his writing and teaching, he gives speeches to various professional and academic organizations such as the National Association of Accountants, the American Accounting Association, and local CPA chapters.